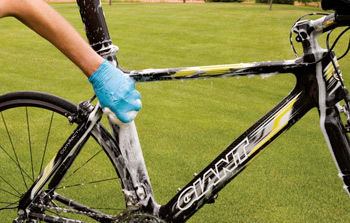 Now that the riding/racing is over, its time to give your bike a detailed wash. This is also a great time to thoroughly inspect your bike form top to bottom. Washing your bike immediately after a ride also prolongs the life of your frame and components, while making sure that it is at dialed for your next ride. No one ever wants to be “THAT GUY”. 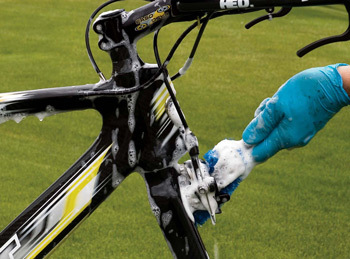 Keep your bike clean and follow these simple steps to a spotless bike! 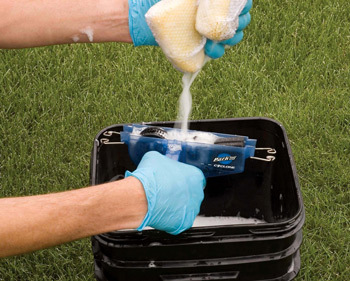 Assemble a good cleaning kit. One of the most important parts of a well assembled cleaning kit is a good assortment of quality brushes (Tampico brushes are favorite ), a 5 gallon bucket, and a Butter B1 chain keeper to keep stuff organized. 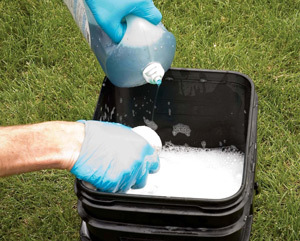 – Fill the bucket with warm soapy water, mild dish soap works well. 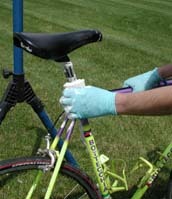 – Start by removing the wheels and spraying the cassette with a degreaser or citrus cleaner. Set the wheels aside and let the degreaser work its magic. 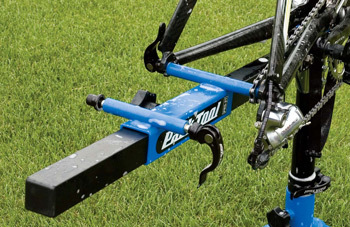 – Install a chain guide, our favorite is the Butter B1 chain keeper, to facilitate cleaning the drivetrain. Shift the chain up onto the large chainring. 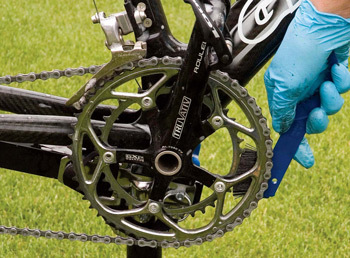 Using degreaser and a brush, scrub the chain, chainrings and derailleurs. Inspect the chain for any abnormalities at this point. 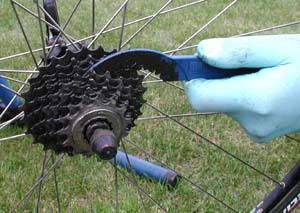 – Scrub the cassette with a brush. 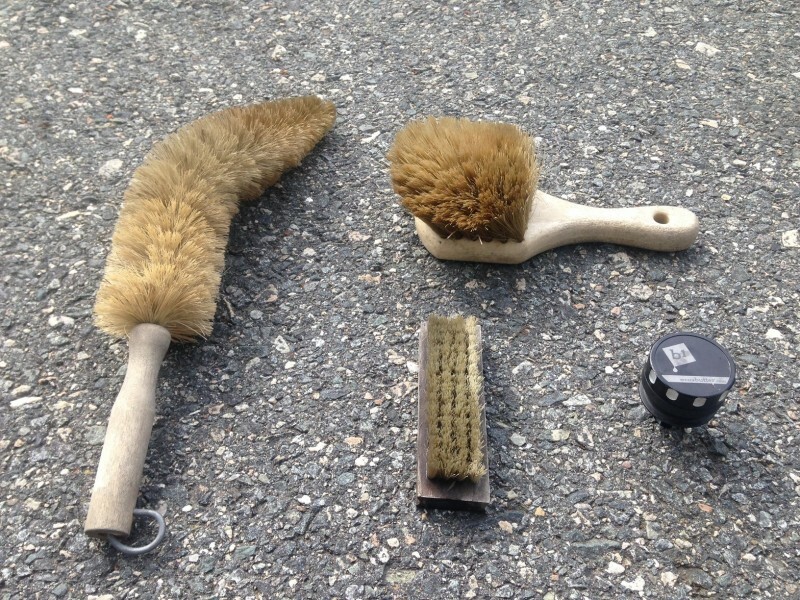 (using the same brushes to scrub your drivetrain is recommended, preventing contamination on other parts of the bike). – Using a moderately stiff-bristled brush, clean the rims and tires using your warm soapy water. 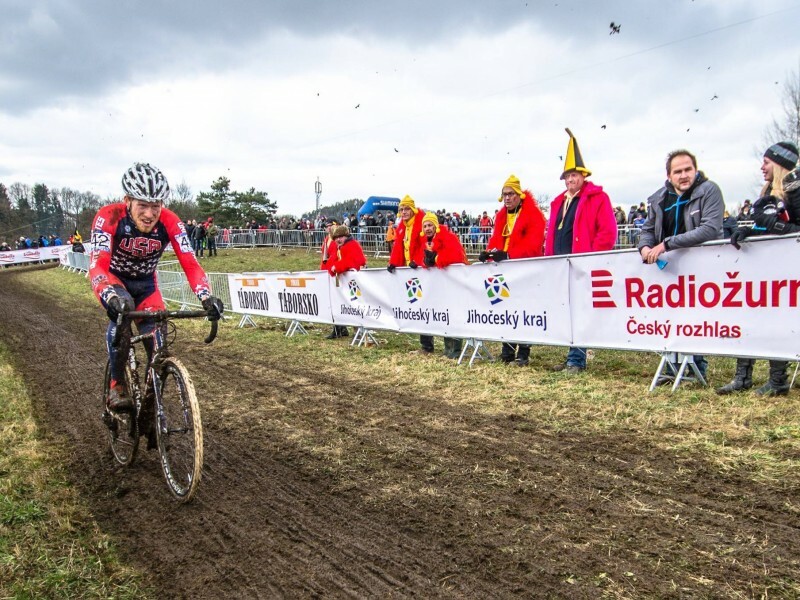 – Rinse the drivetrain and wheels with water. 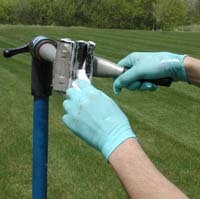 Using a standard garden hose with a basic adjustable spray nozzle for all of the rinsing and washing is sufficient . 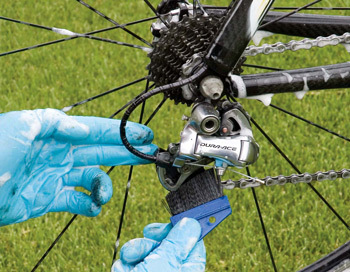 – After cleaning and degreasing the drivetrain, use a soft-bristled brush and scrub the rest of the bike. A variety of small round brushes will allow you to reach the hard-to-get spots (Hubs, fork, smaller parts of the frame, ect). 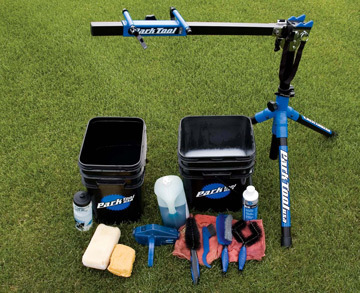 – Rinse the complete bike and dry with a soft towel. If you have compressed air, it helps to speed the drying process (avoid direct air pressure on any sealed bearings). 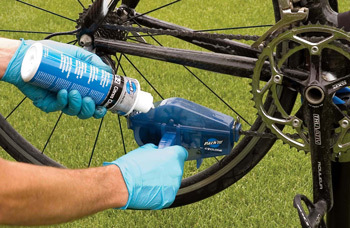 One of the most overlooked steps in cleaning your bike people often forget is reapplying lube after the the cleaning. Even though your bike looks as clean as a whistle all that scrubbing has stripped lube out of important parts of your bike. When the bike is dry, re-lube the chain and derailleurs and polish the frame. I use —–Currant lube polish———–. When lubing the chain place a drop of lube on each link and wipe off the excess.